I keep getting emails asking me what am I doing? What am I doing? Well, Donna and I should be relaxing on the beach and enjoying life but no, I am in a battle with the Tax Assessor in Dickinson, North Dakota. Basically, they raised our assessment 200% to 400% during the oil boom but have refused to reduce them after the oil bust. The assessments are so high and out of line that the taxes are more than the net operating incomes. I know this has nothing to do with owls or Molly but since you wanted to know this is what I am doing. Leading a fight for all commercial property owners in Dickinson. Plus we do not have any owls in our owl box but it does look like we will have Kestrels again this year. Every commercial property in Dickinson was independently appraised to make sure assessments were raised when the market boomed. Why do the Commissioners refuse to do the same when the market has crashed? They raised our assessed values 200% to 400%, some even more. Every Commercial Property owner in Dickinson should join this fight to get their property assessments adjusted to today’s market values. How do we know our assessments are wrong? Many property owners, including myself, have submitted independent appraisals showing their properties well below their assessed values, some as much as 50% to 75% below what the assessor has them assessed for. How have the Commissioners responded to these independent appraisals by the owners? 100% of all property appeals have been denied! If the Commissioners don’t believe or want to challenge the owners’ appraisals, why haven’t they ordered their own independent appraisals like they did to raise the values? How many owners and independent appraisers licensed by the state of North Dakota does it take to prove our assessments are wrong? The law states our properties are to be listed on the tax rolls at their true and full fair market value. It also states it is the duty of the Commissioners to see they are listed correctly. Why are they not checking the values now with independent appraisals? Are the hearings fixed? Are the outcomes known in advance? With 100% of the appeals denied it appears so! Why have the Commissioners acted in such capricious, arbitrary and unreasonable manner at the hearings? If they acted any other way they would have to lower assessed values. It is the same reason they have rejected all proof of reduced values submitted by owners. 100% of property owners’ appeals have been denied! Are the City and County Commissioners derelict in their duty to make sure that properties are listed on the tax roll at their true and full fair market values? Where is the oversight of the Assessor? Has the Assessor mislead the Commissioners? How do they know the Assessor hasn’t mislead them, if they don’t spot check and verify with independent appraisals like they did when the market boomed? We call for the Commissioners to hire an independent appraiser to spot check all the values challenged by owners in Dickinson since 2015. I know my properties are not listed on the tax rolls at their true full fair market values as required by law. How am I so sure of this? I know because I had my properties independently appraised. I know because of comparable sales. I know because my income and expenses don’t support my assessed values. I know because I have been buying and selling real estate for over 50 years, 32 of those years as an investor in Dickinson. According to the appraisals, some of my properties are 100% to 200% over assessed. What about yours? Are they over assessed too? Are you also being over taxed? Time for action! If you own commercial property (including retail, motel, hotel, or apartments) in Dickinson, and your property is over assessed, you are being over taxed and should join us. 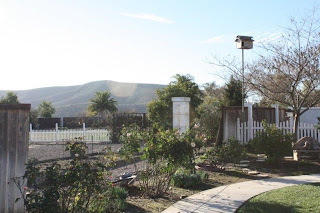 Our goal is to have our property values lowered to their true fair market values. Today’s values not yesterday’s oil boom prices. We ask the Commissioners or court appointed independent commission go back and review the independent appraisals and data supplied by the property owners in years 2015, 2016, 2017. If the Commissioners have questions about the values presented by the owners, then the Commissioners must hire an independent appraiser to check all those values challenged by the owners. So far, the Commissioners have just taken the word of the Assessor 100% of the time without independent appraisal proof that the owner’s submitted market value is not correct. The Assessor uses a Computer Assisted Mass Appraisal System not even designed to get the value of every property right. The Commissioners should expect errors. That is what the appeal system is for, to catch the errors. But that is not what is happening because the Commissioners are denying relief to the owners 100% of the time. It is blatantly obvious that the Commissioners are not considering the data and independent appraisals supplied by the property owners. If you feel your property is over assessed, please contact me. It is only when we get our assessed values right will the taxes we pay be fair, equitable and just. Currently, they are unfair, inequitable and unjust. You can volunteer to help. Organizational skills, email, social media, attend Commissioner and Court hearings. You can show your support with a donation. 100% of the money goes to the legal fund. I am 75 years old and if you feel like I do, that the government should not steal our money with over assessments, that our property should be listed on the tax rolls at its true market value, not some past inflated oil boom price, then you can help in this legal battle by sending a check to Carlos Royal, Office, 1156 21st St W, Dickinson, ND 58601, on the memo line write Legal Fees, or you can go online to the secure website https://www.gofundme.com/real-estate-tax-assessment-revolt and make a donation. Large or small. You can also leave a comment or share your story of over assessment. We would love to hear from you. To show I am dedicated to this Dickinson, Stark County Tax Revolt, I will personally match total contributions up to the first $25,000 raised. Our goal is to raise $50,000 for the hard costs of litigation. I have agreed to fund half, if you will help fund the other half. To discuss your property’s value to see if it may be assessed too high, contact Mike Wedl at mike@usapta.com . Mike is a former county assessor and is the President & CEO of USAPTA, Inc. and Pinpoint Property Tax Finder software. He will discuss your property with you so that you can decide if you are being over assessed and over taxed. I would like to thank everyone for their comments. I have not changed my opinion nor my pledge to boycott the NFL and their games on TV. For me, as a veteran, it is about respect and honor for our Country, our Flag and those that gave everything for this country in current and past years. I find the player’s behavior as it relates to our National Anthem and Flag offensive and therefore I have chosen not to watch. The players can do whatever they want, but that does not mean I have to watch or support them. Just as they feel they have a right, I and all fans have a right to let them know we do not agree with their behavior. Comment: As far as I know, FREE SPEECH and the right to PROTEST is not protected by the first amendment in the work place or on private property. I don’t know of any company/workplace where it is okay to show up and preach your personal religion and/or your personal politics. Free Speech is protected on your own time and in a public place. I am not saying one can’t do it, I am just pointing out that it is not protected by the first amendment and there could be consequences. Like getting fired by your boss. This issue is not about free speech or the right to protest. The players, like all Americans, have those rights because veterans have given their lives to protect those rights for all Americans. I have decided to boycott the NFL and not watch anymore NFL games on TV or go to any of their games. I have been a fan for over 50 years. I have also decided to let their sponsors know I will not be buying their products either. Disrespect for America and it’s flag is just not acceptable behavior that I want to watch. This is just to give you an update since so many have been asking. We do not have any owls but we are getting lots of rain so if the food supply increases we might just see some owls either later in the year or next year. Only time will tell. Donna and I are doing great and attended the 2015 International MOD Meet in Minneapolis this past year. It was fantastic! Austin is working with the San Diego Airport making videos and graphic advertising designs, so over the holidays we thought we would have some fun and make a video for Macadamia Nut lovers. I had ordered 17 lbs of in the shell macadamia nuts from Hawaii. The question was how do you crack them? When I looked on the internet I couldn’t find an easy way or tool to crack a macadamia nut for less than about $100. The tool I recommend, you might already have in your garage or you can pick one up at most hardware stores for less than $15. I don’t want to take all the credit. My barber, Gary Favron, actually recommended it. If you like the video pass it on. Who knows, maybe we can get a million hits. We wish everyone a Fun and Fantastic 2016! P.S. Let us know what you think of the video. The IMM15 Broadcast and Auction has been moved to 8 PM Central Time. I estimate the broadcast will last less than an hour since we will be using my iPhone and it will run down fast. Join in the fun, join the bidding. It is for a good cause, The MODs Foundation supporting wildlife but also helping others. 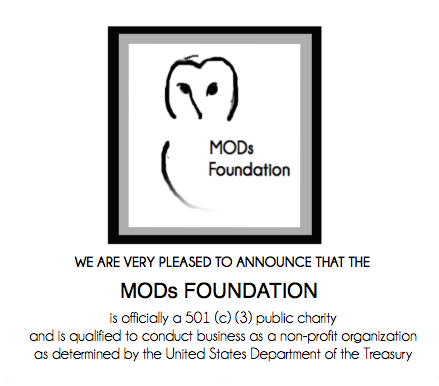 An approved 503 Charity. We will try to broadcast the Wing Ding and Auction using my iPhone. A matching signed set of photos of Molly and McGee will be Auctioned off for the MODs Foundation Charity. Join the fun. We think the auction will be around 6:15 PM Central Time. How many times have you wanted to do or go someplace but didn’t and later regretted it? My son and I had this conversion last week as we reminisced about all the fun things we did together when he was kid. “A lot of good memories,” he said. Later after thinking about it, I sent him this text message. Check the flights, scan the train schedules, book your hotel suite and join us for this fabulous event! Time is going quickly and the hotel discount expires soon, so make your plans now to join us for a fun and fabulous weekend. Post Note: After my son and I had that conversation we booked a fishing trip and bought tickets to an up coming Chargers football game. We decided to create more good memories together and see if going forward we can’t drop all the reasons why we can’t. What I have found in life is there are always reasons why one can’t or shouldn’t do something, but if you want to have good memories you just do them anyway. See you in Minneapolis. The 2015 International MOD Meet is now less than two months away (Sept. 18-20). Donna and I will be attending. Then we plan to visit North Dakota, the least visited of all the States. Ask yourself, “Have you ever been to North Dakota?” Many will answer yes, I visited Mt. Rushmore, but they are wrong. Mt. Rushmore is in South Dakota, so is Sturgis and Deadwood. Two fun places to visit if you want to turn the International MOD Meet into a longer trip. So what’s in North Dakota? Theodore Roosevelt National Park and Medora, where they have a great outdoor reenactment theater. Then there is Willston, if you want see an oil boom/bust town. It can be scary wild during boom times and ghostly during bust times. Finally, to get in a little fishing and relaxing, there is Lake Sakakawea, which has some of the best pike fishing, just another secret of North Dakota. See you at the International MOD Meet, bring your fishing pole. There are 10,000 lakes in Minnesota; officially there are 11,842 lakes. The 2015 International MOD Meet is now less than two months away (Sept. 18-20). I am not promoting the show just letting you know what Austin is doing. The free viewing was limited and is now over. The link no longer works.